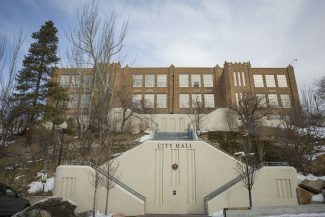 The Park City Police Department last week logged at least two complaints involving what appeared to be utility issues in the waterworks system. On Sunday, May 15 at 8:54 p.m., the police received a complaint about what was described as a "huge amount of water" seen somewhere along Thaynes Canyon Drive. The person who contacted the police could not identify the source, according to department logs. The Police Department indicated a utility issue was to blame. On Friday, May 13, at 1:30 p.m., a water main break was reported on Deer Lake Drive. The police at 12:46 p.m. on May 13, meanwhile, received a complaint about a manhole without a cover in the vicinity of the intersection of Rossie Hill Drive and Ontario Avenue. The police indicated the coverless manhole created a traffic hazard. 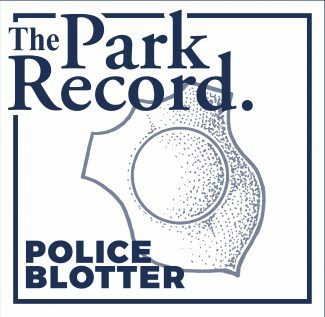 On Sunday, May 14, at 7:45 p.m., the police were called to a location along Park Avenue, where a stranger reportedly knocked on a door and asked for money. The Police Department said the circumstances were suspicious. A boy, described as perhaps 10 years old, was seen walking along the side of the road on S.R. 248 at 3:53 p.m. Public police logs did not provide further details. 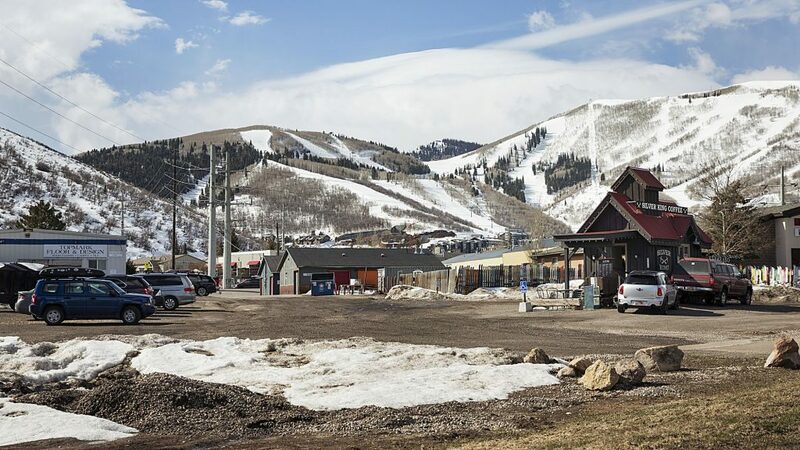 Graffiti was reportedly found on or close to the Park City Golf Club at 3:12 p.m. 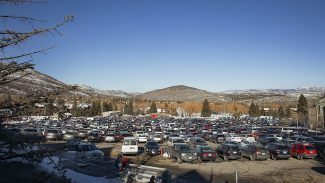 The case was logged on Thaynes Canyon Drive at the 14th green of the municipal golf course, according to the police. The Police Department classified the case as criminal mischief. 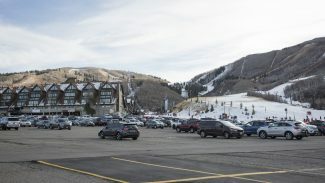 A violation of Park City’s rule against vehicle idling was logged on the 2300 block of Sidewinder Drive at 11:24 a.m.
On Saturday, May 14, someone reported fireworks on or close to Mountain Top Lane, a street toward the edge of Park Meadows, at 11:41 p.m. Public police logs did not provide details. The Police Department at 11:31 p.m. received a complaint from someone on Saddle View Way regarding a party next door. The people were "extremely loud," the police were told. The Police Department logged the case as disturbing the peace. At 12:58 p.m., three men were seen in a pool area along Prospector Avenue. They jumped a fence to get to the pool area, the police were told. The Police Department at 12:58 p.m. received a complaint that a golf cart was last seen at 1 a.m. parked in front of a house. The golf cart was located, but the case was apparently initially investigated as a suspected automobile theft. The case was reported on Chambers Avenue. The Police Department over the course of nearly two hours during the overnight hours, starting at 12:45 a.m., responded to three suspected intoxication cases and a report of disturbing the peace. The cases were logged on streets like Sidewinder Drive, Swede Alley, Sullivan Road and Park Avenue. Public police logs did not provide details about the cases. On Thursday, May 12 at 4:12 p.m., the police received a complaint about a security company vehicle parked on the sidewalk, apparently close to the intersection of Meadows Drive and Mountain Top Lane. The person who contacted the police was upset the vehicle was on a sidewalk, according to department logs. At 1:28 p.m., the police received a report of a suspected fraud somewhere along Main Street. Public police logs indicated the case involves attempted payments with a credit card with bank information from a business. The police at 9:15 a.m. received a complaint of someone building tree forts on another’s property on Iron Mountain Drive. The Police Department classified the case as suspected trespassing. On Wednesday, May 11, at 7:18 p.m., someone reported a gallon of paint spilling on the street somewhere along Park Avenue. The Police Department indicated the paint created a traffic hazard. On Tuesday, May 10 at 5:11 p.m., a traffic accident was reported at the intersection of Deer Valley Drive and Park Avenue. Nobody was injured. On Monday, May 9 at 11:19 a.m., the police received a report that a gold ring with an emerald might have been lost in the vicinity of Quinn’s Junction. The ring apparently disappeared in November. Graffiti was reportedly found on windows on Monitor Drive at 10:02 a.m. The Police Department classified the case as criminal mischief.